Root Decay in Your Later Years Could Endanger Your Teeth - Dentistry For All Ages Inc.
As we age we become more susceptible to dental diseases. A common but often initially unnoticed problem for seniors is root decay. We’re all familiar with tooth decay in the crown, the visible tooth above the gum line. Bacteria feeding on leftover sugar in the mouth produce acid, which at high levels erodes the teeth’s protective enamel. This forms cavities and, if untreated, deeper infection within the tooth that could reach the bone via the root canals. But decay can also directly attack a tooth’s roots below the gum line. Roots are made of dentin and covered by a very thin layer of mineralized tooth structure called cementum. Cementum, which is much softer than enamel, is often lost because of its thinness, thus exposing the root’s dentin. This can make the area more susceptible to decay than the enamel-covered crown. Normally, though, the roots also have the gums covering them as added protection against bacterial infection. But gum recession (shrinkage), a common experience for people in their later years, can expose the root surfaces. As a result, the roots become much more susceptible to decay. And an ensuing infection could spread more quickly into the interior of the tooth than decay originating in the crown. That’s why it’s important to remove the decayed material and fill the root cavity to prevent the infection’s spread. While similar to a crown filling, the treatment can be more difficult if the root cavity extends below the gum line. In this case, we may need to perform a surgical procedure to access the cavity. There are other things we can do to help prevent root cavities or limit their damage. We can apply fluoride varnish to strengthen the teeth and provide extra protection against cavities, or prescribe a fluoride rinse for use at home. We can also keep an eye out and treat periodontal (gum) disease, the main cause for gum recession. The most important thing, though, is what you do: brush and floss thoroughly each day to remove bacterial plaque and limit sugary or acidic foods in your diet. 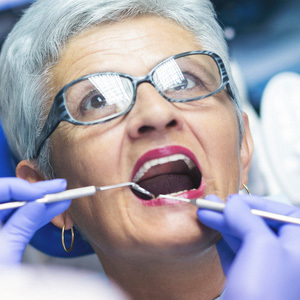 Preventing decay and treating cavities as soon as possible will help ensure you’ll keep your teeth healthy and functional all through your senior years. If you would like more information on preventing and treating tooth decay, please contact us or schedule an appointment for a consultation.